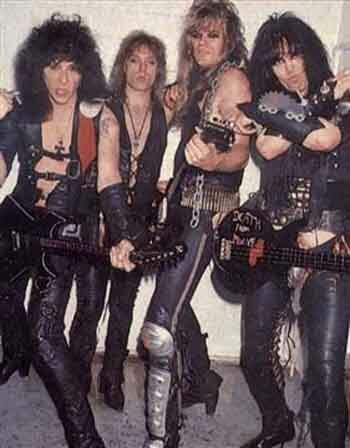 This entry was posted on February 17, 2018 at 9:50 am and is filed under 1980s, Heavy Metal, Heavy Metal and the 1980s, Music, Rock, Uncategorized with tags Americans, Armoured Saint, Blackie Lawless, Classic Rock, hard rock, Heavy Metal, Heavy Rock, KISS, Metallica, PMRC, Ride The Lightning, The 1980s, WASP. You can follow any responses to this entry through the RSS 2.0 feed. You can leave a response, or trackback from your own site. I steered clear of WASP back in the day thinking they were too heavy for me. Man was I wrong. This is a great album and hate I didn’t get into them sooner. Better late than never. Hey, as you say, better late than never. I can see how you might have thought they were too heavy at least until you heard Metallica. I saw W.A.S.P in the UK in the 80’s. Amazing show. Was 1987 Donington? I was there and they were amazing that day. Cool and I might pick your brains when it comes to 88 Donington, if that’s ok? Sure. It was my first ever big show. Blew me away. Great album indeed. Kudos for picking out the “hidden” gems towards the end! Totally agree. I’m really used to this album starting off with Animal… now. Can’t listen to it any other way. It’s such a brilliant opener. “Animal” is a brilliant opener and shame on the record company for not including it originally. Thanks for the thumbs up on the hidden gems. It was one of those albums everybody had but only other metalheads took notice. A classic. A landmark for me personally. And yes the last three songs are really gems. As a kid I didn’t know why WASP were so into torture! That does boggle the mind, lol. I think it was this album and Armoured Saint that got me looking more into the underground metal scene. Armored Saint hit me around the same time with Can U Deliver. That was a good song though I also like the “March of the Saint” and “Seducer” from the first album. Same as Steveforthedeaf wrote above, I saw them in UK too. Bham Odeon 86. Great show, about the same time Blackie had his firework flames cod piece maybe. I think he also switched to guitar around this time and referred to the bass as ‘the tool of ignorance’ much to the annoyance of the bass player in our band at the time lol. That was about the time Blackie switched to guitar and I bet many bass players were pissed off at his comment. Did Blackie’s codpiece catch fire when you saw it? It did during one show in America. I don’t remember if it was before or after but can recall the exploding codpiece incident in the news back then. It was very funny at the time. Aw man. A friend chucked a bunch of WASP albums my way a couple of years ago and I just didn’t really get it. Something didn’t click… which is fine. He did give me more good stuff than bad. 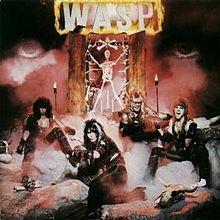 WASP have always been one of those types of bands. They didn’t click with some people but they always have with me. Wow, thanks for the re-blog.